Car accident attorney John Mesirow represent clients who have suffered personal injuries or property damage in car and automobile accidents throughout Metropolitan Washington (including the Maryland suburbs and Northern Virginia) or Baltimore (and its surrounding counties). 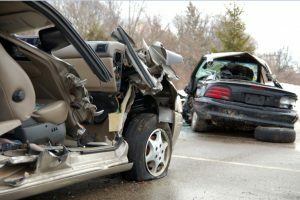 Such motor vehicle accidents include those involving drunk drivers, hit-and-run drivers, uninsured or under insured drivers, and accidents occurring from motor vehicle, SUV and semi-tractor trailer collisions and rollover collisions. We represent victims who have been injured in car accidents, collisions, or crashes that were caused by defective automobiles and trucks, including defective seat belts, tires, or gas tanks; or from flying debris or objects coming from negligently secured or maintained trucks. Injuries suffered from these kinds of accidents can be severe and life-altering. You may have suffered a herniated or bulging disc in your neck or back, a brain injury, burns to your head, neck or extremities, have nerve damage or spinal chord paralysis, broken or dislocated a bone or limb, or even have lost the use of a limb. At Mesirow & Associates, we understand that your immediate goals after going through such trauma are to get the appropriate medical care and make sure it is paid for, to make sure you do not suffer financially through any lost wages, to make sure that your insurance company will pay for future treatment relating to your accident injuries, and to make sure that you will receive money for your past and future pain and suffering and other human losses. Our experienced attorneys will discuss your situation in detail, and go over the various options available to you. What can you expect when you work with a car accident attorney? We will work with insurance companies and other parties involved in your case to make sure that all your needs are handled quickly and appropriately. If the insurance company is unwilling to offer a favorable settlement, we will take the fight to the appropriate court. At Mesirow & Associates, you get more than just Washington dc auto accident attorney. You get an advocate who will fight for your case personally, from start to finish. If you or a loved one has been injured in a motor vehicle accident you should consult with Washington dc auto accident attorney. Contact us online or call us at 866-463-0303 (toll-free) or 202-463-0303 to set up a free consultation.